Nestled between Savaia and her giant clams, and Matautu’s Return to Paradise resort is the village of Gagaifolevao, a village planning on becoming an eco-tourism hot spot. Gagaifolevao is one of six Lefaga district villages intent on regenerating and protecting coral reefs for the sake of their children, but also in a money making venture to uplift the community at large. This is a fishing community and it depends on the ocean for food and income, but two major cyclones and years of tourism overflow from the already pumping spots at Savaia and Return to Paradise have left the coral reef trampled and damaged, resulting in less fish to catch. In 2015, the village council applied for funding from the Global Environment Fund Small Grants Programme (G.E.F-S.G.P.) to set up a barrier to start conserving their dwindling reef. They succeeded and received a grant of US$30,000 (T$79,090) to set about building a Marine Protected Area (M.P.A.). 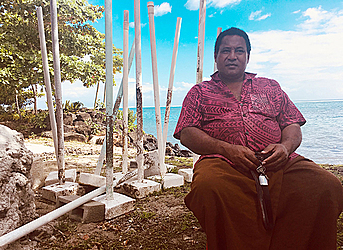 Gagaifolevao Village Mayor, Iputau Letupu Felise said the coral reef regeneration and protection will set of a chain effect of positive development for the village. With a flourishing reef, the village can grow the highly prized giant clams to sell, and charge entry fees to tourists wanting to snorkel and admire the reef. S.G.P. intern, Monty Jefferson and Ministry for Natural Resources and Environment Marine Conservation Officer, Samantha Kwan swam into the M.P.A. to assess the growth of the reef since the No Take Zone boundary was established in 2015. “Visibility was a little low, but you could see coverage was around 30 to 40 per cent of the reef,” said Ms. Kwan. 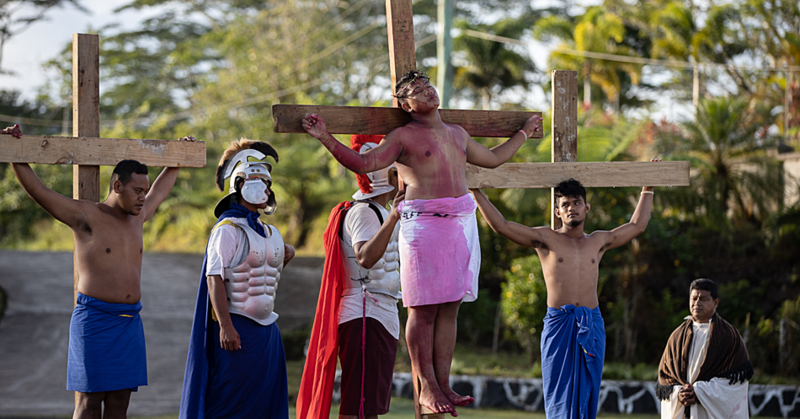 More tourists at Gagaifolevao will need somewhere to stay, and Iputau said families with land along the coast will begin building beach fale to rent this year and hopes to be ready in time for Christmas. “We’ll need help from S.B.E.C. [Small Business Enterprise Centre] with budgeting and marketing but this programme can help the village,” said Iputau. S.G.P. 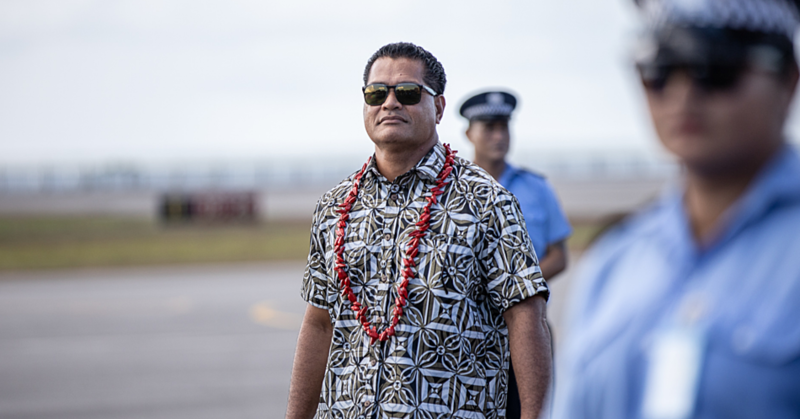 Programme Associate, Ofusina Ieremia said while it could take up to 10 years for Gagaifolevao to reach the standard Savaia has reached, the Lefaga District Committee has set a high standard for knowledge sharing and support, which will enable them to get there. The seven villages of Lefaga (Matautu, Gagaifolevao, Safaatoa, Faleaseela, Matafaa, Savaia and Tafagamanu) meet once a month to share their learnings regarding tourism, M.P.A. management and more. Iputau said he hopes the villages can agree on the same management policies and village bylaws when it comes to conservation, to further the chances of their reefs development. As a district committee, they have applied for a further grant from S.G.P. to create a united M.P.A. across the entire Lefaga Bay area. “We’ll need a district wide management plan to survey the site and have technical consultations. 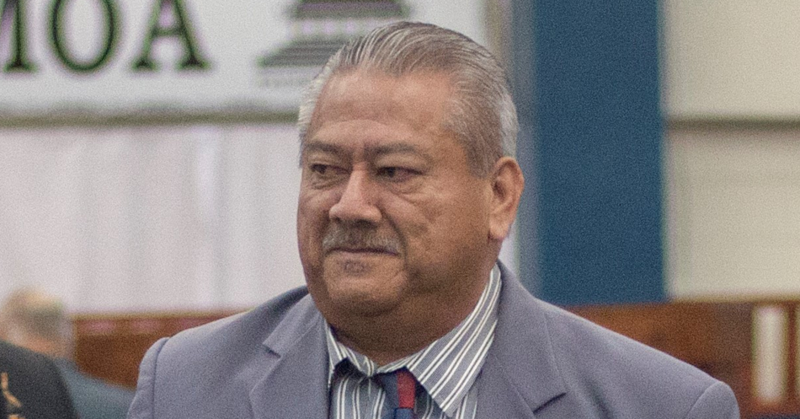 It’s a very expensive project,” Iputau said. Pointing at some children playing nearby, he said this investment is essential.